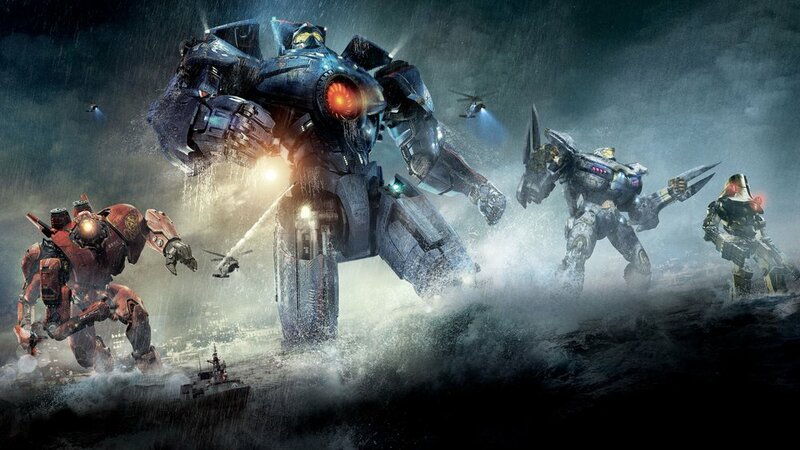 Synopsis: Jake Pentecost is a once-promising Jaeger pilot whose legendary father gave his life to secure humanity's victory against the monstrous Kaiju. Jake has since abandoned his training only to become caught up in a criminal underworld. But when an even more unstoppable threat is unleashed to tear through cities and bring the world to its knees, Jake is given one last chance by his estranged sister, Mako Mori, to live up to his father's legacy. Forgive me for the obvious pairing, but there’s a truly shocking amount of movies out this weekend, so let’s move on right quick. Synopsis: A romantic tearjerker about 17-year-old Katie Price, sheltered at home since childhood with a rare genetic condition, a life-threatening sensitivity to sunlight. Having only her father Jack for company, Katie's world opens up after dark when she ventures outside to play her guitar. One night, her dreams come true when she’s noticed and asked out by her longtime crush Charlie whom she’s secretly watched from her bedroom window for years. As they embark on nightly summer excursions, Katie’s risk to sunlight grows and she’s presented with the gut-wrenching dilemma of whether she can live a normal life with her newfound soul mate. Sensitivity to sunlight isn’t exactly an unusual affliction in the horror genre, considering that there is such a thing as “vampires.” But when thinking about Midnight Sun, my brain immediately jumped to The Others, Alejandro Amenábar’s deliciously beautiful ghost story about Nicole Kidman attempting to keep her photosensitive kids safe in a dimly lit gothic mansion. The way the movie uses the interplay of light and shadow is superb, and it’s a freaky, elegant film to boot! As long as we’re talking about classic British literature being converted into a different, updated genre, there’s no way you can’t recommend the Vincent Price epic Theatre of Blood. Price plays a washed-up actor who punishes all the critics who have panned him by murdering them in flagrant, violent ways inspired by different Shakespeare plays. It’s a gruesome, campy movie featuring one of the prolific actor’s best performances. Synopsis: When, by executive decree, all the canine pets of Megasaki City are exiled to a vast garbage-dump called Trash Island, 12-year-old Atari sets off alone in a miniature Junior-Turbo Prop and flies across the river in search of his bodyguard-dog, Spots. There, with the assistance of a pack of newly-found mongrel friends, he begins an epic journey that will decide the fate and future of the entire Prefecture. In Isle of Dogs, the titular island is created out of an effort to quarantine animals that have been spreading disease. In Survival of the Dead, the situation is pretty much the opposite. A zombie outbreak has swept through the world, and one of the only safe places left is an isolated island. Only, knowing George A. Romero’s films, being with other human beings might prove not to be the safest idea. Synopsis: Sawyer Valentini relocates from Boston to Pennsylvania to escape from the man who's been stalking her for the last two years. While consulting with a therapist, Valentini unwittingly signs in for a voluntary 24-hour commitment to the Highland Creek Behavioral Center. Her stay at the facility soon gets extended when doctors and nurses begin to question her sanity. Sawyer now believes that one of the staffers is her stalker -- and she'll do whatever it takes to stay alive and fight her way out. If we’re going to have to have yet another example of the clichéd horror premise of “is this character really insane?” we might as well have some Lovecraftian fun with it. John Carpenter’s In the Mouth of Madness combines the fun of reading Stephen King and Jack Ketchum with some truly terrific monstrous effects and an eerie town ripped out of Twin Peaks’ nightmares.